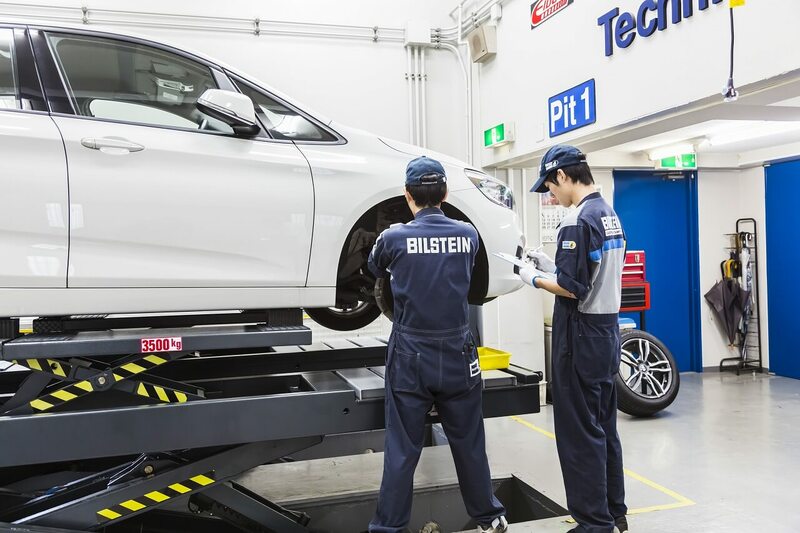 The Bilstein Technical Center (BTC) is the Japanese sole import agent for the German company, Bilstein. 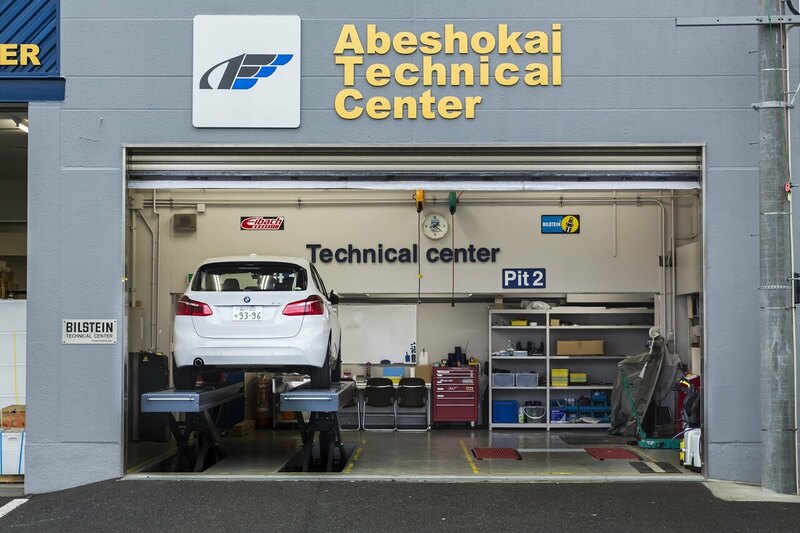 As the importer and marketer of Bilstein products in Japan, Abe Shokai established BTC in 2000 under approval from Bilstein as the R&D and production center for developing and manufacturing Bilstein parts kits for Japanese cars. Japanese auto manufacturers are constantly announcing new car models. 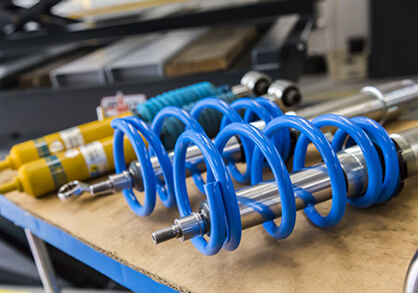 To develop and produce kits that suit these new models as quickly as possible, BTC institutes a variety of testing apparatuses and shock absorber manufacturing machinery to develop and produce kits in cooperation with Bilstein. Since quality deterioration affects the function of precision mono-tube damper performance, a quality control system has been employed. 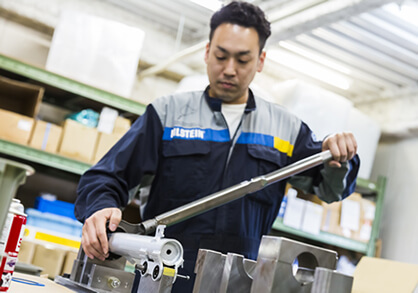 Each part shipped to us by Bilstein is carefully inspected and stored. Our garage facilities are equipped with the latest lifts, so we can also install parts on cars. Thanks to this, BTC is able to install, test, and adjust the parts exactly as is done at the Bilstein headquarters. We perform R&D on new product prototypes, administer quality inspections on marketed parts, conduct overhauls and other maintenance work on all products, provide support for Bilstein parts that are genuine original equipment on any auto manufactures' vehicles, as well as supply parts for racing machines. 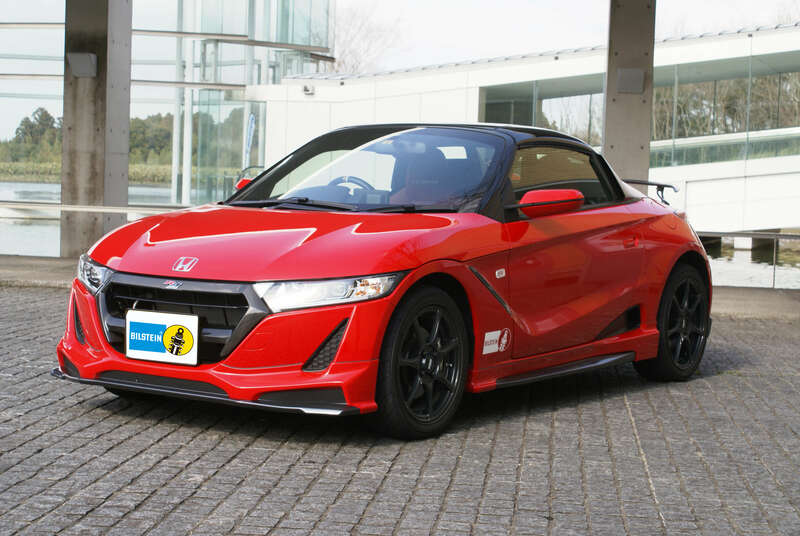 BTC also marketed the Bilstein vehicle height adjustment suspension that comes genuinely equipped on Mugen's third complete car, the Honda S660 Mugen RA. 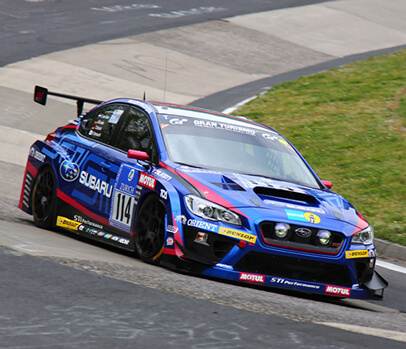 BTC provides support for motorsports, such as the Subaru WRX STI, which took on the 24 Hours Nürburgring. MDS racing dampers can be precisely adjusted, and we are able to perform this work to the satisfaction of motorsport drivers and teams.